Many people put “buy a new home” at the top of their new years to-do list, but never quite get it accomplished. This year it could be even more important to make this a priority, especially for seniors in Placerville. A couple of factors in the current economy make it a great time to buy your new home – rising equity, still low interest rates and available homes at the uniquely designed Silverado Village in Placerville. This community has many perks for seniors looking to buy, including recreational activities, “easy living” designs, and multiple levels of support. Residents have access to the Village Center, which offers many recreational options, including a relaxing spa, a fully-equipped fitness center, and a community room that can be utilized for seminars, arts and crafts, or even just gatherings with friends. The Eskaton Lodge is also available to residents, where they can enjoy a delicious meal or have one delivered directly to their home. 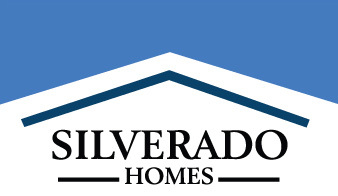 Silverado Village provides a multi-level service approach to its valued residents by offering assisted living apartments and memory care options if the need should ever arise. These are both housed in the same neighborhood, so residents won’t ever have to leave the comfort of their familiar surroundings. Placerville is located just a short drive away from Sacramento, Lake Tahoe, and the ocean. Residents have close access to state parks, wineries, shops, and museums, as well as other amenities such as grocery stores, doctors’ offices, and restaurants.